However, chocolate’s role as a self-prescribed medicine taken by women to help quell their period pains and satisfy their cravings during menstruation highlights how chocolate as medicine occupies a muddy place between fact and fiction. Chocolate as a treatment or supplement for women on their periods is as much a cultural creation as a medical reality. Messaging associating chocolate with periods is everywhere. 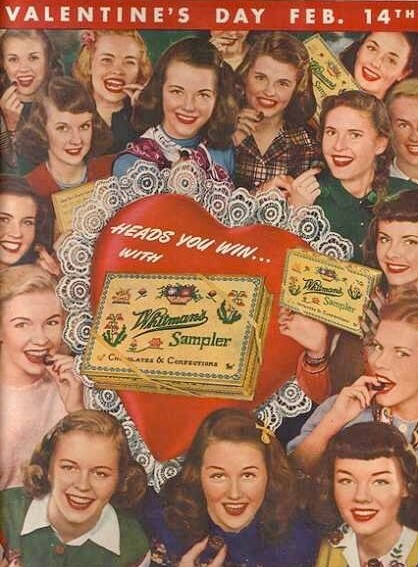 Marketers have sold the idea that chocolate can tame the irrational or wild women. Irrationality and wildness are both culturally associated with menstruating women. In a 2006 Nestle ad, a crazy, irrational woman uses a voodoo doll to torture her boyfriend. She then finds some chocolate, eats it, and begins to treat the voodoo doll lovingly. In the movie Chocolat, chocolate also is shown to calm and cure the irrational wild woman. A side character, Josephin, is mistreated by her husband and widely considered the town loon. Eventually she gets taken in by Vien, the exotic and alluring new chocolatier on the scene, and begins to mystically calm down and gain confidence. The movie tracks this development though Josephine’s chocolate intake, the chocolate makes her less crazy. [i] “Why Do I Crave Chocolate During My Period?” Psychology Today. Accessed March 11, 2019. http://www.psychologytoday.com/blog/comfort-cravings/201402/why-do-i-crave-chocolate-during-my-period. [ii] “I Tried 5 Different Subscription Boxes For My Period So That You Don’t Have To.” Accessed March 7, 2019. https://www.buzzfeed.com/laraparker/i-tried-five-different-period-subscription-boxes-to-see-if. [ii] De la Cruz M. The Badianus Manuscript, Codex Barberini, Latin 241, Vatican Library: An Aztec herbal of 1552. Johns Hopkins University Press; Baltimore, MD, USA: 1940. [iii] 1981Von Linné (Linneaus) C. Om Chokladdryken. Fabel; Stockholm, Sweden: 1741. [v] “Women Should Eat More Chocolate !,” Medical News Today, accessed March 7, 2019, https://www.medicalnewstoday.com/articles/235781.php. Chocolate is arguably the most versatile candy in the United States. From cakes to brownies to fondues, Americans consume chocolate in a multitude of ways. Not only is chocolate extremely versatile, it is one of the most popular forms of candy in America. According to internal sales data examined by candystore.com, last year almost half (eleven to be exact) of the top 25 candies sold on Halloween in the United States were some form of chocolate. (Daily Meal 2018) However, this wasn’t always the case. English-speaking Europeans weren’t very impressed by cocoa beans upon first meeting. In fact, the first English and Dutch sailors to discover cocoa beans on a Spanish treasure ship threw them overboard, confusing the beans with sheep droppings. (Cadbury) So how did chocolate make the transition from sheep droppings to a staple American delicacy that is easily available to anyone? Let’s take a look at its long journey. Cocoa beans are home to Central and South America, and is speculated to have been a central part of Olmec culture since as far back as 1500 B.C.. (History 2018) The Olmecs passed their knowledge of chocolate on to the Mayans, who primarily used it in drinks to make something most similar to what we know today as hot chocolate. Although cocoa was a central part of Mayan culture, it was available to pretty much everyone in society. The rich and the poor were able to enjoy hot chocolate as a delicacy. However, the Aztecs saw chocolate in a completely different light. To them chocolate was a gift from their gods and was only available to the lower class at celebrations like weddings. Because it came from the gods, chocolate was believed to have divine properties and was used in the most Sacred rituals in Aztec society such as birth, death, marriage and sacrifice. Chocolate was regarded so highly in the culture that Aztec ruler Montezuma II drank gallons of chocolate a day as an energy boost and an aphrodisiac, and also kept cocoa beans reserved for the military should they ever go to war. In Aztec culture, cocoa beans were more valuable than gold, and it is speculated that many European countries were first introduced to chocolate by the Aztecs. There are differing stories about how and when chocolate first arrived in Europe, however most agree that chocolate arrived in Spain first. The Spanish took the Mayan recipe and added some of their own spices like cinnamon and cane sugar. Soon after arrival, hot chocolate became a popular commodity, and by 1585, Spain was importing chocolate into its ports. As its popularity continued to soar in Spain, simultaneously other European countries were visiting parts of Central America and bringing cocoa beans back to their individual countries. By the 17th century, chocolate was a popular drink throughout much of Europe, though it was reserved for the upper class. Similar to the Mayans and Aztecs, Europeans believed chocolate had medicinal, nutritional and even aphrodisiac properties. Chocolate would remain exclusive to the upper-class until the late 1700s when the steam engine made mass production possible. As imperialism spread to the Americas, chocolate went with it. Chocolate arrived in the British colony Florida in the late 1690s and by 1773 it was available to all people in the American colonies. Like the Aztecs, Americans believed that chocolate was beneficial in war, and thus soldiers were rationed chocolate in the Revolutionary War. In fact, chocolate was so highly regarded, that it was often given to soldiers instead of actual wages. There were a number of different factors that led to chocolate being able to be mass-produced at an affordable price, and in the different forms that we are familiar with today. 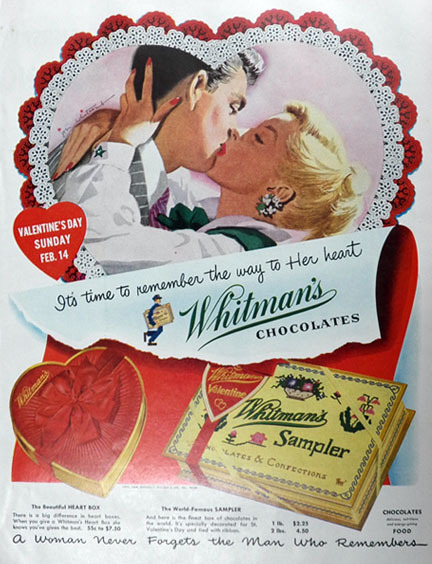 First and foremost, Imperialism played a major role in the spread of chocolate. As European countries attempted to conquer the Americas and spread their influence across the world, they came in contact with chocolate. Some historians believe that Spanish conquistador Hernan Cortes was the first to discover chocolate when the Aztecs mistook him for a deity and welcomed him with a big feast where they served him large amounts of chocolate. (History 2018) This allowed him to bring the beans back to Spain, and aid in the spread of chocolate across Europe. A major breakthrough occurred in 1828 when a Dutch chemist discovered a way to make chocolate powder. (Fiegl 2008) His discovery paved the way for solid chocolate and the many different forms of chocolate that we are familiar with today. Later in the 1800s companies in Europe and America began making and selling different forms of chocolate candies. For the first time, chocolate became available to consume in different forms to everyone in society. Another breakthrough, and perhaps most important was the creation of the steam engine. Before the steam engine, the process of creating chocolate was still very remedia, and hadn’t improved much from the formula used by the Aztecs. Before the introduction of the steam engine, grinding cacao beans into chocolate was a grueling process done by hand. It was inefficient to say the least. However, the steam engine allowed chocolate makers to make much larger quantities of chocolate. Joseph Storrs Fry was the first to buy a steam engine for chocolate production, and his success inspired others to do the same. (Coe and Coe 2013) As more people began streamlining their chocolate process, the price of chocolate also fell, which allowed all classes of people to enjoy it. History.com, 2018. History of Chocolate. In 1901, the Cadbury company, which employed workers in Britain to make chocolate, started becoming aware of a brewing ethical crisis. Though the company prided itself on caring for its employees with Quaker hospitality, they now learned that São Tomé and Príncipé, African islands in the Portuguese Empire, were potentially using a form of labor that was effectively slavery on the cocoa farms. The drama primarily unfolded amidst the clash between the harsh reality of economic self-interest and a universal liberal moral consensus of antislavery. Ultimately, the work of investigative journalists made it untenable for Cadbury and other stakeholders to continue to triangulate between the two contradictory forces, and the forces of liberal consensus proved to be more powerful for Cadbury. To understand how Cadbury ended up in this quagmire, it is helpful to understand that the company’s identity held contradictory elements from its beginning. The company insisted that its mission was not solely to make money, but to also model a morally superior Quaker society. Religious discrimination prevented Quakers from many areas of social and political power, but the Quakers provided support for each other, and many were able to succeed in business (Satre 14). The Cadbury family was highly involved in charity work, and aimed to build the rural village of Bournville (also the name of the factory) into a model city as part of the “Garden City movement, designed to improve the living conditions of its people” (Satre 16). Still, even before the Cadbury debate, there were hints that this best of both worlds narrative, which portrayed the company as both morally and economically superior, was covering over disheartening contradictions. Specifically, the company often would choose money over morals. The company operated under a “marriage bar,” which forced female employees to leave upon becoming married. Cadbury justified it by explaining that “Cadbury did not want to take mothers away from their homes and children” (Newkey-Burden). Yet Cadbury employed large numbers of single women to keep expenses down, and had to separate the sexes in the factory to protect the single women. Further, many Cadbury workers could not afford the rents in Cadbury’s model village (Satre 16). These factors raise fair suspicious that Cadbury’s actions were sometimes motivated more by economic factors (i.e. young, single women could be paid less) rather than by their proclaimed moral intentions (i.e. promoting motherhood). As the scandal burst onto the public awareness after journalist Henry Nevinson’s articles (Satre 82), Cadbury’s reputation was in a particularly vulnerable position. Its predicament was summed up well by a journal’s wry observation that “the cocao and chocolate which are turned out in this country by philanthropic manufacturers with the most scrupulous of care for the welfare of their employees, should have been grown under the most infamous and revolting conditions of murderous slavery” (Satre 83). This contrast can be displayed through a 1960 BBC video clip of Bessbrook model village (link, BBC) with images from slave condition. Bessbrook served as inspiration for Bournville, and the BBC reporter notes its “quiet dignity,” and remarks that the park and childrens playgrounds are “well-kept and free from litter”. As a goose gracefully swims in lake, the reporter nostalgically describes the bygone era in which the Quaker companies “were concerned with the social welfare of their workers.” Even after scandals of São Tomé and Príncipé, the benevolent image continued to hold its place in the public’s mind, as evidenced by the wistful mood of the video. In contrast, Nevinson’s image (link, Nevinson) of the slaves being transported by ship encapsulates the complete disempowerment of the slaves. While the BBC video extols the parks and playgrounds, the mass of woman and their children are crowded lifelessly on the deck, with no space to leisurely roam about even if they wanted to. Only a few of the women in the picture have the energy to sit up, and of those, many appear to avert the gaze of the camera, perhaps in shame. The two women who do make eye contact appear mournfully resigned to their predicament. The advertisement for Cadbury provides another contrasting example. Two woman happily look down at the expansive, well-manicured soccer field that the children are playing on (link, Wilson). The field is surrounded by impressive architecture of Cadbury, perhaps signifying the benevolently paternalistic ethos of Cadbury. The women appear pleased to be contributing members of the model society, and their lively children on the soccer field contrast sharply with the hapless children resting in the laps of the women slaves. Not only was slavery against the proclaimed morals of the Quaker’s, but the major players in the debate were united, at least ostensibly, in a liberal moral consensus of antislavery. Slavery had already been officially banned in both the British and Portuguese empires, so the debate was not over a moral dispute about slavery, but over a dispute of fact (Satre 2). Portugal claimed that the native laborers were voluntarily entering five year labor contracts, but Nevinson brought forth evidence the Portuguese system of “contract labor” was effectively the same as slavery (Satre 7). Portugal’s insistence on its own propriety had a practical effect of constraining its ability to reign in threats such as Nevinson. Even though the “slave traders were aware of Nevinson’s presence and purpose” (Satre 5), he was allowed to proceed in peace (except for a poisoning incident which was possibly intentional). Instead of actively confronting Nevinson, slave traders avoided Nevinson by taking alternative paths, camouflaging the slaves as carriers, and taking other steps to disguise their practices (Satre 5). Since the Portuguese insisted they had nothing to hide, they even promoted visits to a “‘model’ plantation in São Tomé, ‘a show-place for the intelligent foreigner or for the Portuguese shareholder who feels qualms as he banks his dividends” (Satre 10). Nevinson was not impressed with the “model” plantation, especially when the doctor admitted a twelve to fourteen percent annual death rate, with the chief cause being “‘anaemia’ brought on by ‘unhappiness’” (Satre 10). When Cadbury company decided to send William Burtt as a representative to investigate the allegations of slavery, the Portuguese not only tolerated Burtt, but actually consistently displayed hospitality to him (Higgs 141). As Cadbury negotiated with the Portuguese over reforms to the labor system, the Portuguese emphasized that they shared the company’s “‘liberal and humane sentiment’”(Higgs 141). While the Portuguese might have secretly wished to forcefully end the investigations from Nevinson and Burtt, their options were limited by their official stance of antislavery. Cadbury was rightfully fearful of the consequences of the public outrage generated by journalists such as Nevinson. It was a “public relations nightmare” for the firm, with consumers mailing Cadbury with comments such as “You pious Frauds” (Higgs 153). The public image fallout even impacted the members of a jury, in which they ruled in favor of Cadbury’s libel lawsuit against a critical article, but only rewarded one farthing (one quarter of a penny) in damages, strongly implying their lack of sympathy for the company (Higgs 152). While a cynical interpretation is that companies and countries only act in their own self-interest, journalists such as Nevinson demonstrate that when journalists are allowed to do their jobs, the public has a chance to demand changes to the status quo. Satre, Lowell. 2005. Chocolate on Trial: Slavery, Politics, and the Ethics of Business. Newkey-Burden, Chas . 2018.Who were the Cadbury Angels? Today, we tend to think of cannabis and cacao consumption as a treat or indulgence. Yet, the use and cultivation of these two plants date back through antiquity. Back then, the beliefs about the purpose of cannabis and cacao consumption was much different and far less restrained by negative social or biological implications. While much of the eurocentric understanding of cacao is extrapolated from studying the Aztecs, the Mesoamerican origins of cacao can be traced back even further to the Olmec civilization. The Olmecs, possible ancestors of the Mayans, created a flourishing society in the humid lowlands of the Mexican Gulf Coast around 1500 BC. The humid, tropical rainforest climate created ideal conditions for growing the Theobroma Cacao Tree, but terrible conditions for archeological preservation. That being said, linguistics experts have deduced the origins of the word “cacao” to the Mixe-Zoquean language used by the Olmecs in 1000 BC. Further, excavators discovered a stone bowl with chemical remnants of cacao (theobromine) at the Olmec capital city (San Lorenzo) and reasonably conclude they were among the first to discover the chocolate process (Coe & Coe, 84). Postdating the Olmecs, The Maya existed from 250 AD until its collapse in the ninth century. The Maya thoroughly advanced wisdom and is remembered particularly for its contributions to agriculture, food, and spirituality. Cacao, then pronounced “kakaw,” played an important social role for Mayans, even earning its own hieroglyph. Archaeologists find cacao heavily present in the primary source database, especially in connection with the gods. In visual and written documents, cacao is presented in a sacred light—something consumed by the gods to support supernatural vitality. Specifically, this is evidenced in the Dresden Codex and Popul Vuh, which both feature cacao in direct connection with the gods. For this reason, many historians refer to cacao as “the food of the gods.” Drinking chocolate was the premier means of cacao consumption in Mayan society, serving a certain symbolic importance in marriage and fertility rituals. Beyond its connection with the gods, cacao was also considered to be of medicinal value in Mayan society; the Maya used cacao for its digestive, anaesthetic, anti-inflammatory, and energy related benefits (Martin). The Aztecs, from 1300-1521 AD, also believed cocoa had a religious significance. The Theobroma cacao tree was considered divine—a bridge between earth and heaven. Beyond the ritualistic significance of cacao consumption to connect the Aztecs with the supernatural world, they also used chocolate for medical purposes. Archaeologists have uncovered Aztec documentation of healing rites including cacao in ancient codices. Two manuscripts specifically, Chilam Balam and The Ritual of the Bacams, describe the proper medicinal applications of cacao for physical ailments and spiritual afflictions (Martin). Cacao was administered in a variety of different ways to treat a range of illnesses, including skin eruptions, fevers and seizures. Above all, chocolate was believed to foster vitality and improve love. The use and cultivation of cannabis dates back through antiquity as well. In ancient China, 2700 BC, Emperor Shen Neng prescribed tea with cannabis dissolved in it to treat a number of illnesses. Marijuana was popular as a medicine, not a delicacy. Its effectiveness led to the proliferation of cannabis as medicine throughout Asia, the Middle East, and Africa (Stack). Primarily, cannabis was used as a stress and pain relief medication—especially effective during childbirth (Prioreschi). Ancient documents reveal a caveat to the overconsumption of marijuana, marking its negative side effects as impotence, blindness and seeing demons. By the late 18th century, cannabis as medicine made its way to the occidental world as a remedy for inflamed skin, incontinence and venereal disease. Specifically, one Irish doctor named William O’Shaughnessy praised the medicinal benefits of marijuana and preached about its ability to effectively alleviate pain and nausea (Stack). While cacao played a sacred role in their society, there is ample evidence the Maya used cannabis to understand the universe as well. Mayan hieroglyphs and art also depict the act of smoking, whether it be tobacco or marijuana. Archaeologists contend the Maya cultivated marijuana in farms and ground cannabis to create psychoactive beverages. As alluded to earlier, drinking was also the preferred method for cacao consumption in their ancient society. The psychoactive effects of cannabis allowed the Mayans to communicate with the gods and pray off demons. Similar to the medicinal uses of cacao, cannabis was used to treat bug bites, snake bites, and alleviate other physical ailments (Civilized). Today, just as our perception of these ancient civilizations, our realms of knowledge surrounding cacao and cannabis are quite different. As we move forward from ancient times through history, we begin to see the understanding of cannabis and cacao develop alongside disciplines of knowledge. For example, the further development of scientific methods and documentation of natural phenomena continues to help society understand these plants with a more robust fact base. While it has been treated as an illicit drug in America for hundreds of years, cannabis has recently been proven to remedy severe medical impairments, such as epilepsy, and alleviate chronic pain, especially for chemotherapy patients (Zurer). Scientists have found many similarities between chocolate and marijuana. In 1996, researchers found cacao consumption to activate cannabinoid receptors in the human brain providing users a subtle “high” similar to the effects of marijuana. While three substances in cacao were proven to activate cannabinoid receptors, the most prevalent finding was an increase in anandamide levels. The paper explains, “anandamide is a lipid that binds to cannabinoid receptors and mimics the psychoactive effects of the drug” (James). Because chocolate is believed to enhance the effects of cannabis consumption, these findings imply that medical marijuana can be cushioned and moderated by combining the dose with cacao (Zurer). These findings have affected not only the medical realm, but the legal realm as well; one lawyer sought to recuse his client by arguing the client tested positive for cannabis due to high levels of chocolate consumption (Tytgat, J., Van Boven, M. & Daenens, P.). While this bogus argument was refuted, it still goes to show the sociopolitical landscape is changing as science elucidates more and more botanical similarities between these two plants. Perhaps it is time we retreated from our perception of chocolate and marijuana consumption as gluttonous indulgences back to the ancient purpose of fostering wellness. “Cacao vs Cannabis.” Digital image. Pics for You Evety Day. http://hulufree.top/When-Im-traveling-morning-cacao-and-yoga-is-an-essential-ritual.html. Civilized. “5 Facts About How Cannabis Was Used by the Mayan People.” YouTube. October 16, 2017. Accessed March 2019. https://www.youtube.com/watch?v=xHwa3NH6pG4. Coe, Sophie D. “The True History of Chocolate.” iBooks. Harvard University. “Marijuana: The Latest Scientific Findings and Legalization.” YouTube. April 04, 2017. Accessed March 2019. https://www.youtube.com/watch?v=HvRf_3Bil0A&t=1943s. James, J S. “Marijuana and Chocolate.” AIDS Treatment News, 1996. Martin, Carla. “Chocolate, Culture, And The Politics Of Food”. Lecture slides. February 6, 2019. Peake, Allen. “CNN Documentary on Charlotte’s Web, Medical Marijuana Treating Seizure Disorders.” YouTube. February 09, 2014. Accessed March 2019. https://www.youtube.com/watch?v=oxrKyjeClTk&amp;. Plinio Prioreschi, and Donald Babin. “Ancient Use of Cannabis.” Nature 364, no. 6439 (1993): 680. Stack, Patrick, and Claire Suddath. “Medical Marijuana.” Time. October 21, 2009. Accessed March 2019. http://content.time.com/time/health/article/0,8599,1931247,00.html. Zurer, Pamela. “Chocolate May Mimic Marijuana in Brain.” Chemical & Engineering News 74, no. 36 (1996): 31-32. Before they were used to describe hot chocolate at a London Chocolaterie, the Aztecs were a Mesoamerican people who inhabited the region we now largely classify as Central Mexico between the 14th to 16th century (Smith, 12). Like the Maya, their Southern Mexican predecessors, the Aztecs cherished and cultivated cacao, creating numerous cacao-based food and drinks which soon inspired the Spanish and other nations to introduce cacao and chocolate to their diets. Eventually, cacao and chocolate became global products, commercialized through colonization and exploitative labor practices and making their way to countries like England and the U.S. Paul A Young’s “Aztec Chocolate” is one of many modern-day chocolate products which recognizes chocolate’s origins as a publicity technique, while creating a chocolate product that most likely fails to resemble what scholars actually believe the Aztec’s produced. The Aztecs primarily consumed chocolate as a drink, but with flavorings and recipes which deviate from how hot chocolate is popularly consumed in the present day. In one of the earliest accounts of chocolate consumption in Aztec society, an associate of the conquistador Hernan Cortes described the Aztec chocolate drink making process. He explains that the cacao is ground into powder, mixed with water, and changed from “one basin to another, so that a foam is raised” (Anonymous Conqueror 1556). The anonymous author highlights the process of foaming chocolate drinks, utilized by both the Aztecs and Maya. The Aztecs would pour their chocolate drinks from one container to another to create a foamy texture that they believed to be intrinsic to the chocolate consumption experience. The anonymous author also specifies that the chocolate “is better in hot weather than in cool, being cold in its nature” (Anonymous Conqueror 1556). Unlike most modern day hot chocolate consumers, the Aztecs consumed their chocolate cold (Coe 83). The Aztec chocolate beverage existed in many variations with different spices and flavorings. Chili was a very popular addition to chocolate, and chocolate makers added it in powder form to chocolate drinks called “Chilcacahuatl” (Coe 86). They also added maize or corn to drinks, making them nutritional and savory (Coe 85). The most popular chocolate flavor among the Aztecs was “cymbaopetalum penduliflorum,” a flower that was both flavorful and potentially inebriating (Coe 88). Absent from these chocolate recipes, however, is sugar or milk, both ingredients which were central to future European and global chocolate recipes (Coe 131). Ultimately, global chocolate production lead to the 1847 British chocolate company J.S. Fry & Sons creating the first solid edible chocolate bar from cocoa butter, cocoa powder and sugar (History.com 2014). Chocolate has gone through many transformations since its Aztec origins. Red Online offers some clarity as to the way in which Paul A Young interpreted Aztec-style hot chocolate. A published 2015 recipe includes sugar, cocoa powder, dark chocolate, and a variety of spices like chili, cinnamon, nutmeg, and cardamom and instructs. It instructs the reader to mix and heat the sugar, cocoa, and chocolate in a saucepan and then to add spices. While it adopts the Aztec name, the Paul A Young Aztec-style chocolate drink holds little resemblance to the often hearty and chilled beverage consumed by the Aztecs. The Aztec name serves moreso as its own ingredient, an exotic and exciting reminder of a historic civilization. An Aztec woman generates foam by pouring chocolate from one vessel to another in the Codex Totula, “History of Chocolate.” Wikipedia, Wikimedia Foundation, 15 Mar. 2019, en.wikipedia.org/wiki/History_of_chocolate#/media/File:Mujer_vertiendo_chocolate_-_Codex_Tudela.jpg. Anonymous Conqueror 1556: 306a, cited and translated by Coe, Sophie D., and Coe, Michael D. The True History of Chocolate. Thames and Hudson, 2007. Coe, Sophie D., and Coe, Michael D. The True History of Chocolate. Thames and Hudson, 2007. Kake. “Sign Outside Paul A Young, City, London, EC3.” Flickr, Yahoo!, 22 Mar. 2014, http://www.flickr.com/photos/kake_pugh/13324305415/in/photostream/. Klein, Christopher. “The Sweet History of Chocolate.” History.com, A&E Television Networks, 14 Feb. 2014, www.history.com/news/the-sweet-history-of-chocolate. Smith, Michael Ernest. The Aztecs. 3rd ed., Wiley-Blackwell, 2012. Sahuagan 1950-59, cited by Coe, Sophie D., and Coe, Michael D. The True History of Chocolate. Thames and Hudson, 2007. Nestle’s 2012 advertisement emphasizes chocolate’s special place in the heart of the American home. Using cookies, the commercial weaves the ingredient into several nostalgic narratives—the college homecoming, grandma’s pride after a soccer game victory, and an afternoon with mom. Whether it be in candy bars, brownies, or cake, chocolate has a strong hold in the American identity and its classic recipes. But, if we know that chocolate originally belonged to the Mesoamericans, how did it become so incorporated with our own household pantries? We can better understand how this happened by briefly looking at the production and consumption side of cacao in relation to its sister good: sugar. While Americans today can buy convenience store chocolate for change in their pockets, early consumption of cacao was largely reserved to the upper classes. Predating to the Aztecs, cacao was taken as a frothy drink and used in fertility and sacrificial rituals, to fortify warriors, and to mark status. As currency and tribute, workers would offer the drinks to lords visiting the cacao orchards. The nobility used cacao beans as currency, and so consuming them was a show of luxury and power. Later, the Aztec political tribute system surrounding cacao cultivation was extended by the Spanish to help subjugate the native population after 1521. Through this, chocolate continued to be recognized as a manifestation of political power. This association traveled with the beans sent back to Spain. Chocolate’s high value bounced across Europe and remained an indulgence for royalty and nobility there. While originally sought by the Spanish as a form of medicine or nutritional supplement, chocolate drinks quickly became symbols of decadence. For the Mesoamericans, cacao drinks were more savory than what we are used to today, accenting them with achiote, vanilla, and ear flower. Although they did sweeten their chocolate with honey and fruits, “the Maya and Aztecs” had nothing approaching the European sweet tooth” that was looming in the future. Innovation and proliferation of sugar and chocolate merged in the American diet via the rise of chocolate giants. 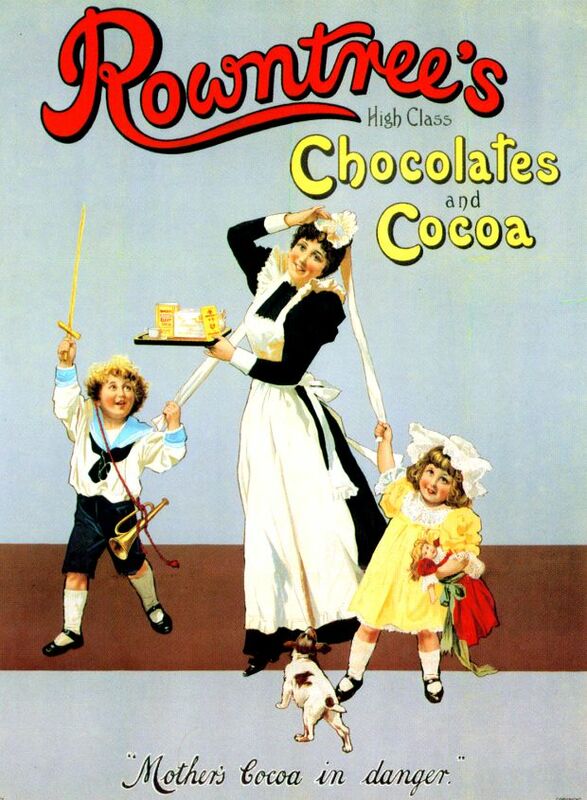 Hershey started “producing milk chocolate bars en masse in 1893 with German machinery purchased at the World’s Columbian Exhibition in Chicago.” Mars created chocolate bars in the 1920s with nuts and nougat. Both are examples of companies who remained competitive by making products with less cacao solids and cheaper ingredients, such as sugar. Mass-market chocolate came to dominate by playing on tastes for sugar and fat, despite pure dark chocolate being costlier and more valuable. Here, while having traveled similar historical paths, chocolate and sugar crossed each other and became inextricably linked. More efficient production of both aided its adoption into an existing social structure associating female homemakers with sweetness. Furthermore, incorporation of chocolate in homemade desserts was sustained by the rise of home economics. This movement placed the mother as responsible for running her household like a business. Eleanor Lucas writes in Practical Ideas for the Housewife that women are “the torch-bearers” for the “lamp of love and the lamp of science” that “should burn in every home.” She asserts that household economics “is no petty effort to make the home prettier and the food more palatable, but a movement to safeguard the integrity of the home.” A common belief was that the costly living expenses of the working classes were the result of “badly selected items of the daily regimen, of wasteful methods of preparation, of un-thrifty and hand-to-mouth methods of buying.” As such “housekeeping and cooking educators partnered with industry in the name of ‘domestic science.’” Guides such as The Boston Cooking-School Magazine of Culinary Science and Domestic Economics, gave homemakers household tips and recipes that increasingly incorporated the use of chocolate into desserts. These recipes included chocolate and cocoa, chocolate blanc mange, chocolate blanc mange with corn starch, chocolate icing, and chocolate pie with meringue. These cookbooks also contained advertisements like the one above for cocoa powder that appealed to the desire to be efficient and economical. In sum, it was a series of coinciding and often shared forces between chocolate and sugar that allowed both to be so prevalent today. Alberts, Heike C., and Julie L. Cidell. “Chocolate Consumption Manufacturing and Quality in Western Europe the United States.” Geography 91, no. 3 (n.d.): 218–226. “Brownies.” US History Scene (blog). Accessed March 16, 2019. http://ushistoryscene.com/article/brownies/. Coe, Sophie D., and Michael D. Coe. The True History of Chocolate. 3rd edition. London: Thames & Hudson, 2013. Hill, Janet McKenzie. The Boston Cooking School Magazine of Culinary Science and Domestic Economics. Boston Cooking-School Magazine, 1904. Lucas, Eleanor. “Practical Ideas for the Housewife.” The Designer and the Woman’s Magazine XXVI, no. 5 (n.d.): 449. Mintz, Sidney W. (Sidney Wilfred). Sweetness and Power: The Place of Sugar in Modern History. New York, N.Y.: Viking, 1985. http://nrs.harvard.edu/urn-3:hul.ebook:EBSCO_9781101666647. “Nestle TV Commercial For Chocolate Chip Cookies.” iSpot.tv. Accessed March 16, 2019. http://www.ispot.tv/ad/7kif/nestle-chocolate-chip-cookies. Period Paper. “1905 Ad Lamont Corliss Co Milk-Chocolate Cookies Child Food Products New EM2.” Period Paper. Accessed March 16, 2019. https://www.periodpaper.com/products/1905-ad-lamont-corliss-co-milk-chocolate-cookies-child-food-products-new-york-104294-em2-572. Hill, The Boston Cooking School Magazine of Culinary Science and Domestic Economics, iii. Mintz, Sweetness and Power, 144. Mintz, Sweetness and Power, 83. Alberts and Cidell, “Chocolate Consumption Manufacturing and Quality in Western Europe the United States,” 224. Coe, The True History of Chocolate, 95. Raise your hand if you’ve eaten a Snickers, Reese’s Peanut Butter Cup, Milky Way, Hershey’s Bar, or Cadbury. Walk around the United States and you’ll be hard pressed to find someone who hasn’t enjoyed one of these chocolate candies at some point in their lives. Ironically, none of these candies is pure chocolate. Snicker’s and Reese’s contain peanuts and peanut butter, Milky Way and Snicker’s contain nouget, and all five are primarily made up of milk and sugar. Since the advent of the industrial revolution, top chocolate makers learned to increase their profits and popularize this wonderfully sugary and addictive treat, by incorporating other cheaper ingredients at extremely low costs. By diluting their chocolate bars with milk, sugar, nuts, and other extremely cheap ingredients, they were still able to produce a delicious, sugary, addictive product that customers would clamor for. The fact of the matter is, what we know today as “chocolate bars”, are hardly chocolate at all. Between Hershey’s, Mars, Lindt, and Nestle, these giant conglomerates own a whopping 87.2% of the chocolate market. As mass production became the dominating force in the market, specialty shops found themselves relegated to minority shareholders in the industry. Nearly 15 million Snickers bars are produced each day. According to CNBC, this amounts to approximately 407,409,600 Snickers bars sold per year, in the United States alone, at a total sales of $424,112,200. Globally, Snickers is selling almost $2 billion dollars worth of bars each year. The purists simply do not stand a chance. The road from pure cacao, to cacao drinks, bars, and ultimately the sugary milk chocolate we know today, was paved by the technological advances brought about the industrial revolution, as well as the commoditization brought by colonization and slavery. Snickers bars are made primarily of nougat, caramel, peanuts, and coated with chocolate. The nougat is made of milk, sugar, butter, vanilla, marshmallow cream and peanut butter. The caramel is made of sugar, butter, vanilla extract, corn syrup and milk. Next, peanuts are sprinkled into the mixture, where after the bar is allowed to cool. Lastly, the small milky sugar brick is dipped into a pool of warm chocolate where it comes out coated in chocolate. Though we commonly consider Snickers a chocolate bar, it would more accurately be described as a sugary milk and peanut bar. These ingredients are incredibly cheap when purchased at scale, thanks to mass production. Similarly, these processes are also perfectly scaleable with modern day machinery, which allows for the gigantuan batch sizes and rates of production. This is vastly different to the hand made, labor intensive origins of cacao production. So how did we get to this point, where the vast majority of chocolate bars in the world barely contain any chocolate? The truth is, before the industrial revolution, chocolate was a specialty food item. Chocolate bars consisted primarily of cacao, which has a dramatically different taste than a Snicker bar. It wasn’t until the commoditization of sugar that modern day chocolate began to take form. As colonial powers settled the Caribbean, their primary activity was in setting up sugar plantations for the mass production of sugar. Chocolate makers in America began to slowly incorporate more sugar into their product, which not only increased the sweetness of the product but reduced the price as well, as sugar was cheaper than cacao. As demand rose for chocolate, the principle techniques of mass production were applied to cacao as well, thus commodifying the price over time. The tragedy of this process of mass production is that it was enabled by the free labor of slaves. This legacy of free labor continues to this day, as only 3% of the profits made by chocolate makers is passed on to the farmers. The unbelievably low price of mass produced chocolate, i.e. a dollar or less at the checkout line, is not only a result of the cheap ingredients, but of the questionably cheap labor. Fortunately, with the advent of the internet, consumers are beginning to demand greater insight into the processes behind the products they purchase. As a result, the “premium chocolate” category has seen year over year growth in the double digits over the last several years. These companies source organically and are transparent about their sourcing practices of cacao and sugar. They also tout ethical practices in production and how they pay their farmers fairly. Though the “premium chocolate” category is growing, mass produced chocolate still dominates the market. Five companies generate nearly 90% of the total sales globally, by producing bars that contain marginal amounts of cacao. These companies have redefined what “chocolate” is, by utilizing profit maximizing techniques of dilution by mixing in cheaper commodities such as sugar and milk. Yet, consumers continue to eat their products up. While a chocolate purist may be upset, the market has spoken. Transparency is on the rise, but mass production still rules the chocolate game. Next time you eat a “chocolate bar”, just understand that what you’re eating is hardly chocolate at all. Kelly, K. G. (2017). Sugar Plantations in the French West Indies. Archaeological Perspectives on the French in the New World. Before you take that bite- Think about the history, the pain, the inequities and the number of slaves who made your precious chocolate. I have one too many slaves making my products. We need to be aware of who are making our products, make the supply chain more transparent and wholly change how our capitalistic systems are working that keep perpetuating slavery. Theobroma cacao was so incredibly important to the Meso-Americans not only as a drink to savor but profoundly imbedded into the culture, e.g. social gatherings, their religion and was even used as a barter currency. In a four-hundred-year-old document written in the Nahuatl language listed the many commodities the Aztecs would trade with one another such as turkeys, jack rabbits, turkey eggs, fruits, and tamales (Martin, 2018). Oh, I would give anything to trade one cacao bean for a tamale! However, this humbling crop and currency system was utterly warped by European Imperialism and the Transatlantic Slave Trade. The slave trade endured for nearly three hundred transporting 15 million African from their homeland to literally build the wealth of Europe and the United States and why we see the huge disparities and development in former colonies. There is no doubt that Transatlantic Slave Trade gave rise to our modern-day global capitalistic system. Thereis no denying that the Transatlantic Slave Trade was highly profitable for theEuropeans and the U.S. As a slave, they earned no money. They were the ‘false’commodity as referenced by Mintz in his anthropological classic, Sweetness and Power (Mitnz, 1986, p.43).They had no rights and were not ‘free’. They were considered inferior and noteven human. A slave was property and something that needed to becontrolled. They were abused, takenadvantage of and if they didn’t make the middle passage or long walks (mind youstarved, in the heat, in shackles) they were left to die (Lowell, 2005, p.1). Weare able to visualize this clearly as described in Burtt’s Report wheninvestigating the illegal Angolan slave trade on Sao Tome cacao plantations. ThePortuguese were transporting 6000 Angolan slaves per year and there was a highrate of death on the islands (Lowell, 2005, p.21). Slavery was alive and wellhiding behind this guise of a servciassanctioned and upheld by their laws. They were supposed to be paying the Angolanservicals for this work which would go into a reparations fund. Of course, theslaves did not get this money, there was no fund and slaves would most likelyjust die on the island. More profits for the colonial power. The colonial powersdepended so much on this free labor so they could profit and have wealth notonly for themselves but generations to come. If you think about it, the Cadburyfamily has been a company for nearly 200 years. Although, Cadbury was morallyagainst slavery and did everything he could do to end slavery in Sao Tome, thepolitics were just too strong and at the same time he couldn’t risk hisbusiness, his power, his wealth. And the business kept going where his familywas able to make a pretty penny when they sold the business to Kraft or underits snack food arm Mondelez International for 19.5 billion dollars. Sad, buttrue the Cadbury family has slaves to thank for their current wealth. Asprofessor Martin discussed in class, we are all implicated. My hands are notclean either as I too am implicated in modern day slavery. My results fromtaking the ‘Made in a Free World’ quiz revealed that 38 slaves work for me. Yes,I agree with that organization that it is one too many. I am not sure people wouldbe to open to possibly taking such a test or wanting to acknowledge that oursupply systems are so incredibly corrupt because what can people do. EvenNestle who was found to have child slaves in their supply chain stated thatlike every other chocolate company they cannot guarantee the presence of child slaveson the farms from which they source (2016,Barnato and Graham). However, they are doing their best to tackle the problem.It’s been at least19 years since that first expose was released and still theyare trying to fix it. It’s certainly complex. Thetwo largest cocao producers are the Ivory Coast and Ghana, producing 41 percentof 18.7 percent respectfully (Leissle, 2018, p. 43). According to the GlobalSlavery Index there are 40.3 million trapped in modern day slavery either inthe context of forced labor or forced marriage (The GlobalSlavery Index, 2018). The magnitudeof the problem in these two countries is huge. In the Ivory Coast there is anestimated 2.3 million adults forced to work in the cocoa industry while childrenaccount for ~900,000 (Thetransatlantic slave trade: introduction, n.d.). In Ghana the number ofadult slaves is about 1.1 million and the number children about 708,000 (Thetransatlantic slave trade: introduction, n.d.). The price of the average childslave is $250 (Slave FreeChocolate, n.d). As we are taught in school slavery ended after the civilwar even though in many colonial colonies, like Denmark, ended in 1803(Thetransatlantic slave trade: introduction, n.d.). But slavery continuedillegally in many of the colonies until mid-20th century as welearned in class with the Portuguese (Martin, 2018). Iwasn’t able to find the value of the entire slave trade in the cacao industry.But what I did find was information on the value of American Slaves in 1860prior to the civil war. During this time the U.S. had in its possession 4million slaves that were worth $3.5 billion dollars, the largest financial assetsthat U.S. had (Coats,T, 2014). The thousands of southern soldiers were fighting to keep thispractice going because this was the basis of their economy, their riches incolonial south. Salves were valuable. Tying our capital markets further to theslave trade that our financial institution or better known as Wall Street inNYC, was once a market for slave trading (Singer,2012). There was an article in the New York Times which published its archivein 1863 of the market prices of slave in some of southern states. In Kentuckythey were taking gold, in Missouri anywhere between $40 and $400 and biddingoff slave, the prices ranging from $40 to $400 and in the Savannah Republic twoslave women sold for $2500 each (MarketPrices of Slaves, 1863). Keeping those assets and building that wealth issomething the people who have the control and power don’t want to give up. Onthe global market economy of cocoa in 2016 was valued at $12 billion (Leissle,2018, p. 7). The chocolate industry as a whole made 10x that, valued at $100billion. The compensation for CEOs from the largest chocolate were so excessivethat it quite sickening how unjust the chocolate industry is. Chocolate manufactures,Nestle SA, Hershey and Mondelez International are all public companies and soone can easily find the CEO pay. CEO, Paul Buckle, of Nestle SA made 9.296million (Revill,2014). Michele G. Beck (MicheleG. Beck, 2017), the CEO at Hershey’s made $7.8 million while the CEO atMondelez International, was compensated $42 million in 2016 (Stebbins,2018).The average daily salary is less than $2 (Child Labor and Slavery inthe Chocolate Industry. (n.d.). How is it possible that a CEO can make millionsand the farmer only makes $2. The system is wholly unbalanced and it seems thatthis problem will only get worse because we don’t face racism and its structureshead on. I am reminded of the Pareto principlesthat the market doesn’t see or consider justice. As long as we think our capitalisticsystem should be working in this way that company’s and CEO makes billions thanslavery is going to exist (because) in these types of systems there are winnersand losers. I wish we could go back tothe humbling barter currency system. Barnato, K.and Graham, L. (2016, March 24). Future of the chocolate industry lookssticky. Worth $19 Billion. The New York Times. Mayes, B.[Illustrator]. (2018, March 25). The dark truth about chocolate. The Guardian. on Trial: Slavery, Politics, and the Ethicsof Business. Athens, Ohio. Ohio University Press. Singer, A. (2012, January 1). Wall Street Was a Slave Market before it was a FinancialCenter. Stebbins,S. (2018). Highest paid CEOs at America’s 100 largest companies. USA Today. Contrary to the ubiquity of chocolate around the world today, the cherished byproduct of the cacao crop had not even been accessible to anyone outside of Mesoamerica before the 16th century. Native to parts of modern-day South America and neighboring tropical regions, it wasn’t until the rise of Western exploration and colonialism that chocolate became introduced to the rest of the world. For the cultures familiar with chocolate for millennia, such as the Olmecs, the Aztecs, and the Maya, there was an intrinsically special value placed on the crop and its byproducts (e.g. pods, beans). Indeed, cacao served its spiritual purposes, revered as a gift from the god of Wisdom, as it did its practical purposes, commonly consumed as a drink or even utilized within medicine. In the coming centuries after the inception of the relationship between chocolate and an international consumer base, there were key world view shifts, technological advancements, and established systems of production that served as catalysts launching chocolate into the realm of mass consumption that it remains in today. Right at the midpoint of the millennium, society and the way in which humans perceived the world underwent radical changes. As the centuries passed, more and more of the masses began to exhibit characteristics championed by the ideology of individualism, as people became increasingly autonomous from the church and state. This new way of living for much of European society was only further accelerated by concepts like “liberty,” “natural rights,” and capitalism. In fact, the aforementioned field formalized by Adam Smith is particularly significant due to the reintroduction and revision of concepts ranging from international trade to pricing to even detailing the system of consumption (e.g. goods qualifying as ‘necessities’ vs. ‘luxury goods’). Accompanying this vast social changes happening throughout the 17th and 18th century was another momentous milestone in human history: the First Industrial Revolution. With the introduction of steam power, new technologies from the cotton gin, to the railroad track engine emerged throughout the global economy. Particularly relevant to chocolate however was the principal contribution of Dutch chemist, Conrad van Houten, devising the revolutionary hydraulic cacao press in 1828. With this advent, chocolate producers could now extract more of the natural fat (cocoa butter) from the bean, allowing the solution to not only have a powder-like texture (thereby making it more mixable with other cash crops such as the main one-sugar) but also making the product cheaper to produce, maximizing profit. In the midst of focusing on the industrialization and trade globalization happening worldwide from the 17th century onwards, one must not withhold the key element of agriculture, where the whole process actually starts. Cacao is a crop that has to be planted and maintained very carefully, often requiring extremely taxing and detrimental physical work. Before the product can even get to those Van Houten machines to be pressed to powder, hours and hours of manual labor was a required element of successfully farming cacao. As such, and because the entrance of the cacao bean into the global world coalesced with the implementation of the global triangular slave trade, many of the natives in South America as well as imported African slaves conducted the grunt work of cultivating cacao. Ironically, as ideals of “freedom” and the “pursuit of happiness” emerged in revolutions worldwide, millions of humans remained subjected under systems effectively serving as chattel slavery until the end of the 18th century. This enforcement of systemic dehumanization continued to be overlooked, however, as chocolate had already been placed on an international platform as a staple of society, and thus any means of attaining it had become increasingly justifiable. Ironically, launch forward another 200 years to the modern day and the sad truth is that while much has improved, many conditions within the agricultural aspect of cacao production remain excruciatingly inhumane. In what could be viewed as a modern iteration of human slavery, the Ivory Coast serves by far as the biggest contributor to the 69% of the world’s cacao that West Africa produced, as of 2017. The Ivory Coast is also ridden with forced child labor numbering in the millions, with many of the children being victims of child abduction or human trafficking. In this increasingly globalize world, where “Big Chocolate” and companies of the like value their brand and image just as if not more than the cacao beans themselves, it is appropriate to put forth campaigns condemning such remorseless conditions. However, the extent of the efficacy of proposed implementations intended to ameliorate these dire conditions continue to seem empty as problems persist. Optimistically, however, the 21st century, as it has unfolded, stands to be in a pivotal moment within the span of human history. Much like the then revolutionary new ways of thinking and world views being established, today’s increasing globalization, rapidly revolutionizing technology, and increased exposure and communication creates a platform upon which prevailing injustices worldwide can continued to be publicly challenged and pressed (no pun intended) to the point of elimination.